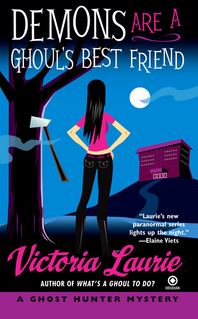 Northelm Boarding School on Lake Placid has the worst bully of all-a demon by the name of Hatchet Jack. M.J. Holliday, along with her partners Gilley and the handsome Dr. Steven Sable, are ready to send him back to the portal from whence he came. The school's summer construction, an uncooperative dean, and the very tempting Dr. Delicious are all trying to distract M.J. from her ghost hunting. But with a demonic disturbance as great as Hatchet Jack, she must focus and show no mercyto send him to detention for an eternity-in hell.